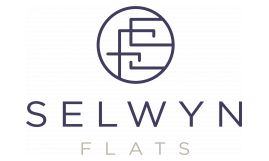 Selwyn Flats is conveniently located in the heart of Myers Park. The vibrant apartment home lifestyle the property provides its residents is just what one should expect from residential living at an affordable price. It is placed amongst popular, Park Road Shopping Center, known for it's diverse collection of boutiques, entertainment, and restaurants of every flavor. Surrounded by the privacy of our wooded area our spacious studio and one bedroom floor plans offer the tranquility of rural living. Residents of Selwyn Flats often take advantage of the abundance of outdoor activities surrounding our community Try your skill at badminton or basketball on one of our two courts or swim laps in one of our two sparkling pools. There is no need to look anywhere else. Maximum 2 pets allowed per apartment. A veterinarian certificate must be provided verifying the pet(s) and current vaccinations. A photograph must be provided for each pet. We do not allow Pit Bulls or any mix combination of this breed. Depending on the location of the property, there may be other breed restrictions that are followed in accordance with laws and local ordinances.